We just returned from another amazing fall trip to Denali National Park. 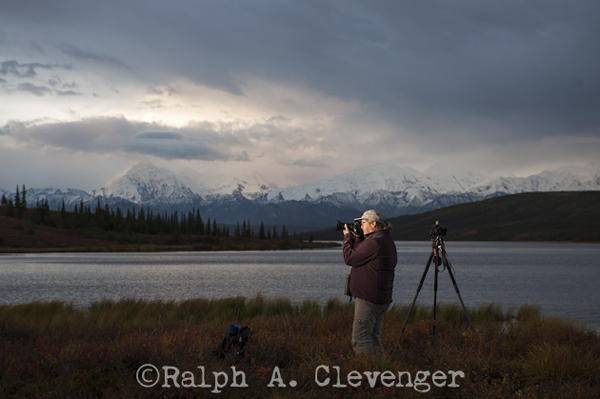 It was my privilege to be the photographic “special emphasis leader” at Camp Denali for the third time. 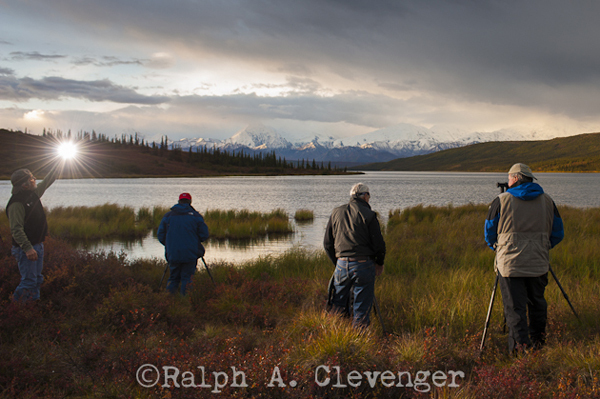 We had a great group of photographers traveling with us, spending the week watching the tundra turn colors and the “great one” (Denali) peek in and out of the clouds. The light at this time of year is truly magical. Throw in bear, moose, caribou, sheep, fox, pika, swans, cranes, ptarmigans, and all the other residents of the park and you can see why we were cranking through the pixels. 6:00am: While waiting for sunrise on Denali, I decided to add a little of my own light.